Introducing Abigail Doll - Super Mom - No Cape! The year that Dave’s granddaughter was born… for Christmas that year I made her a stocking that was slightly different but in the same fabrics as the ones I had made for her mom, dad and older brother. 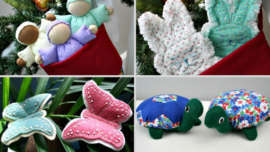 I looked everywhere for a pattern for a doll to make that was small enough to pop into the top of her stocking but couldn’t find any that I liked. So I set to work designing one. Allow me to introduce Abigail. Isn’t she just the sweetest! 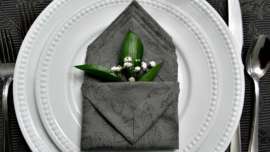 The pattern to make Abigial has been thoroughly tested by my wonderful volunteer testers: Karen L, Linda S, Mary N (and students) and Stephanie D.
Thank you so much ladies! Your constructive feedback helped me make this a much better pattern that I’m sure even someone who has never sewn can make. 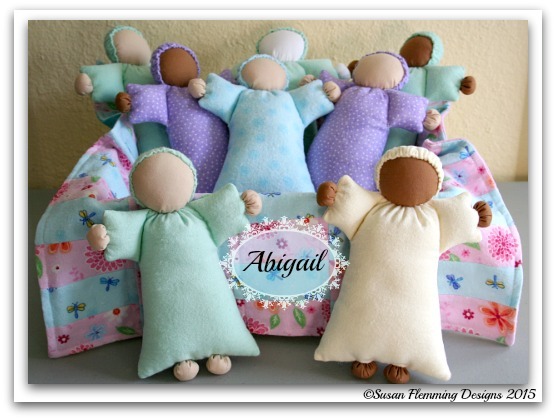 The pattern for Abigail is available through my newly opened Craftsty shop. 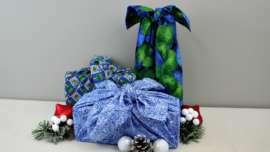 As Craftsy has closed many shops, including mine, I’m in the process of finding a new platform on which to sell my patterns. 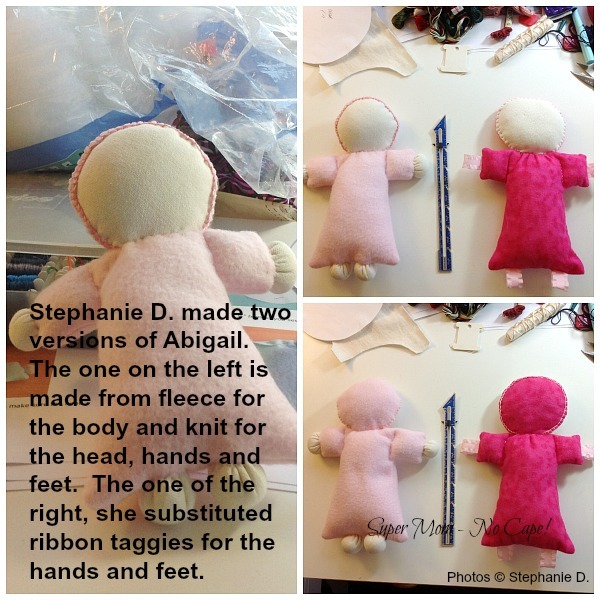 And I have a special bonus for the first 50 people who purchase a pattern to make Abigail. 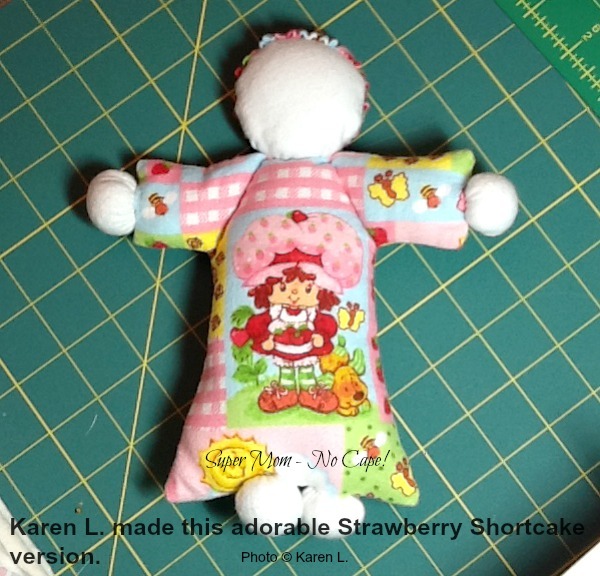 After I receive confirmation of the purchase, I will e-mail a free pattern for the doll quilt shown in the photos. 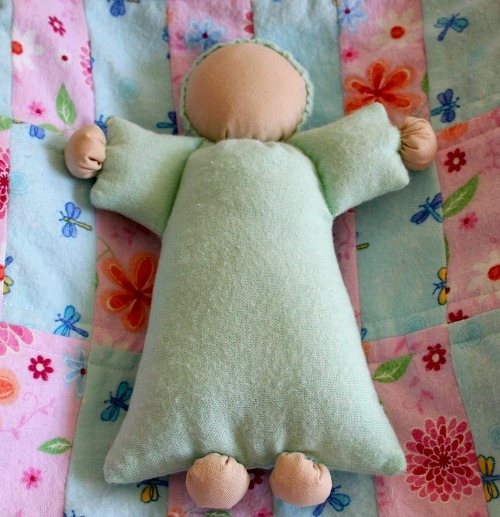 The doll quilt uses just three fat quarters; two for the top and one for the backing. Please note: I’m still in the learning process for Craftsy so it may take up to 24 hours for you to receive you free pattern. How sweet!!! I’d like one of these for myself! How cute she is! If my children would cooperate and give me grandchildren …. =) I hope you have hundreds of sales! So cute! 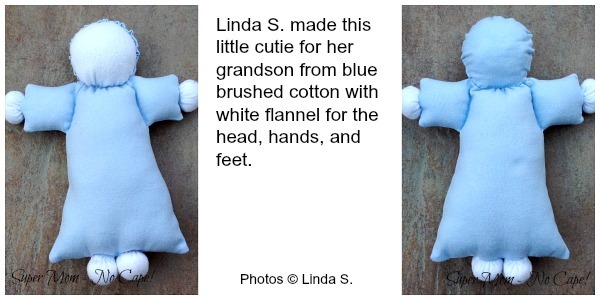 Making a doll for my grand daughter is on my list of things to do!